I'm a hammer thrower for Team USA and supported by NIKE. I've participated in three Olympic Games- 2004 (Athens, Greece), 2008 (Beijing, China), and 2012 (London, England). I just recently moved to South Dakota with my family because I am the Track and Field Throws Coach at the University of South Dakota. Popular question: Am I training for the 2016 Summer Olympic Games? Answer: Yes. I have been very blessed with the experiences I've had and to maintain a healthy body, and I'm very appreciative of everything. I'm living and experiencing my dreams by pursuing the Olympics. As the current Throws Coach at the University of South Dakota (USD), I'm excited for this new chapter of coaching at the Division 1 level. Prior to my arrival at USD, I worked at Ashland University in Ohio as Head Strength and Conditioning Coach for all athletic athletes and programs. My throwing career started in college while attending Morningside College in Sioux City, Iowa, which is 1 hour from my hometown of Sheldon, IA. During college I participated in football and track & field. My interest in the hammer developed through college where I worked hard to earn the (2001) NCAA Division II Championship in the hammer throw as a college senior. 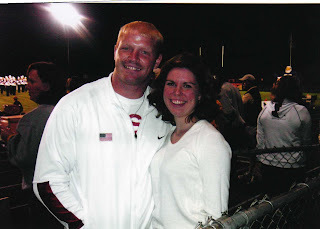 In 2002, after graduating from Morningside College, Jud Logan invited me to move almost 1,000 miles away to Ashland, Ohio to train full-time for the 2004 Olympics. 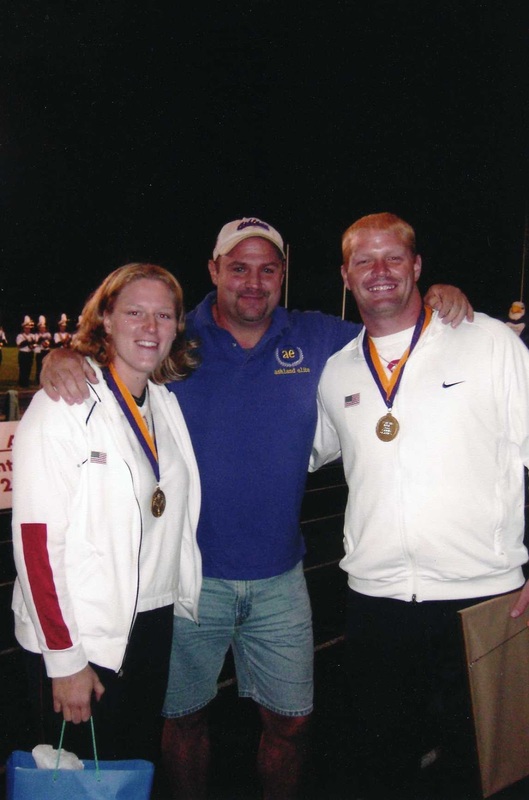 I was very flattered at his invitation and request as Jud Logan is a 4-time Olympic Hammer Thrower and a nationally recognized coach as the Head Track and Field Coach at Ashland University. So, I packed my bags and headed east. With a full commitment to throwing, I devoted my full attention to training (while figuring out arrangements for housing, health insurance, income, food, etc). As life always brings challenges along the way, I focused my attention to remain on my training, throwing marks, and preparation for the 2004 Games. Fortunately, I threw 79.26 meters before the Games began in enough time to qualify and compete in Athens, Greece. It was an unbelievable experience and one I'll never forget...seeing the facilities, experiencing the hospitality, staying in the Olympic Village, and seeing all the spectators. Since this was my 1st Olympic Game to participate in, I was hoping to do a lot better but I still didn't throw too bad. After the 2004 Games, I continued my training for the 2008 Olympic Games. My throwing marks improved since 2004 and I've been fortunate to earn an invitation to several international competitions, including the World Championships in Helsinki and Osaka, returning to Athens for the World Cup, and the PanAmerican Games in Brazil. So 4 years later, I was blessed enough to attend another Olympic Game. 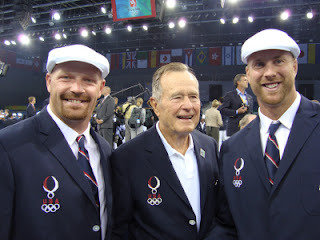 I participated in the 2008 Olympic Trials and qualified for the 2008 USA Olympic Team on July 4th, 2008. Three weeks after the Olympic Trials, I travel to Beijing to adjust to the environment 10 days prior to Opening Ceremonies. It was an amazing experience. I competed at the Games and wish I would have thrown better. 2012 approached very quickly. Olympic Trials were held in Beaverton, OR, at NIKE Headquarters. It was an event just for the Hammer. It was awesome and I'm so glad NIKE coordinated this event. There I earned my third invitation to the Olympic Games in London. That was a great experience. Here, too, I wish I would have thrown better. I just take every day in stride and try my best. I try to focus on my goals and not let the little things in life interrupt me. I'm thankful for all the experiences I've had. I' look forward to future experiences I'm blessed with because this is a really fun journey. Thank you to all my supporters... especially my family, because I couldn't have done this without you.